Weddings in India are big business. Such big business that a serial gatecrasher and her children recently not just attended uninvited for the free food, they were there to swipe jewellery and money too. The article about the offenders even posted pictures of the offenders, describing an additional couple of children trained by their parents to suit up and mingle among wedding guests so as to get their hands on valuables. Whilst this is not a trend over here, yet – mostly because our weddings are not quite on the grand scale of those in Mumbai – what about uninvited guests? What does one do when someone one knows, or doesn’t know, arrives without an invitation? More often than not they’re usually what is termed tag alongs. Someone who comes with someone you know. Technically then, they’re not a gatecrasher, but you certainly didn’t invite them. Why do they do it? There’s the free food, for a start. But weddings are fun too. People tag along because there is a relaxed, friendly party environment – and it’s free. Whilst etiquette says something along the lines of – you have every right to toss them out on their ear (although the words are slightly different; it’s more like asking them politely to leave), could you really do that? And would you want to have to do such a thing at your wedding? Give really clear instructions on your invitations so that there is no room for misunderstanding. 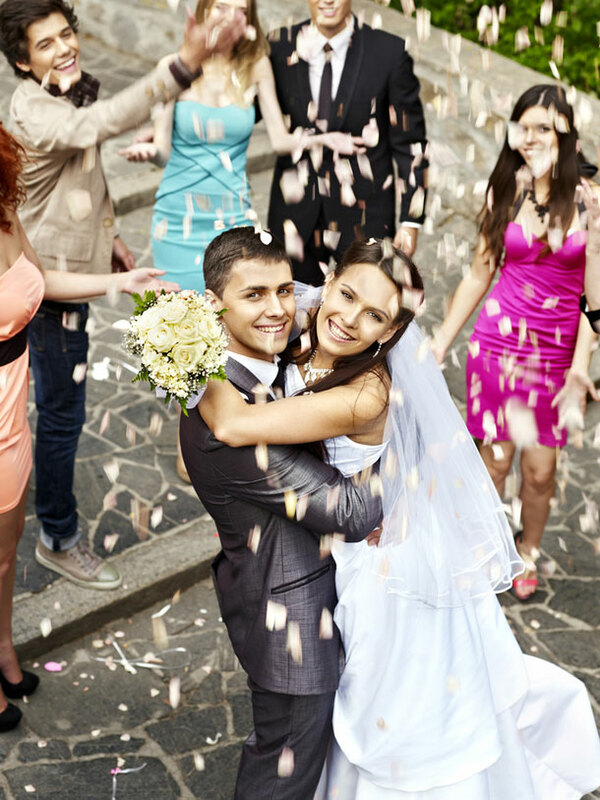 No one may come to your wedding without an RSVP, and only those who are invited may RSVP. Get a bouncer – it doesn’t have to be a real one, even one of your larger friends will do, but have someone on stand by (if you think gatecrashing may be an issue) who can simply have a quiet word in their ear about leaving. Show them a chair and accept gracefully. Sometimes a guest may arrive with someone unexpectedly. It isn’t a close friend of yours, but it is someone they couldn’t leave at home. Showing them the door would simply be the wrong thing to do. I’d imagine that this would upset the bride and you don’t want the bride to feel upset on her special day … Clear instructions on invitations, you can’t go wrong.